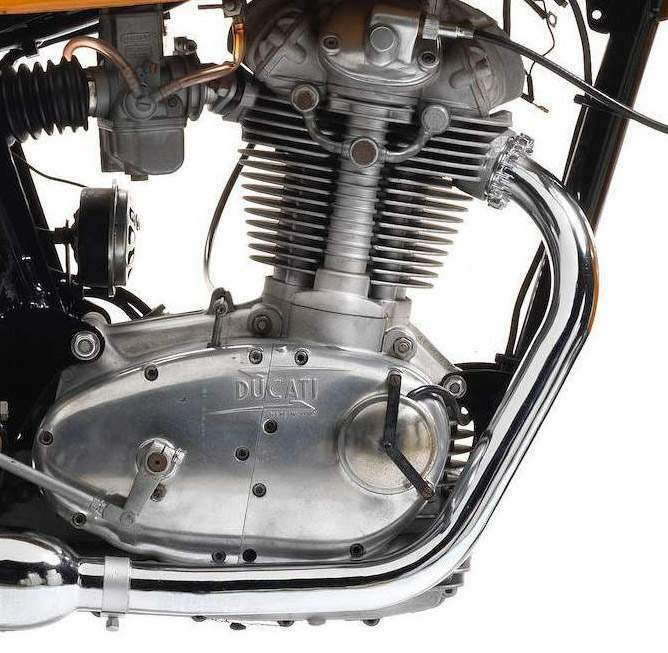 Designed by one of the most celebrated motorcycle engineers of all time, Fabio Taglioni, Ducati's first overhead-camshaft single appeared in 1955. Desmodromic valve operation, whereby closure as well as opening was effected by cams, was a feature of the racing versions and would later be applied to the sportier roadsters. 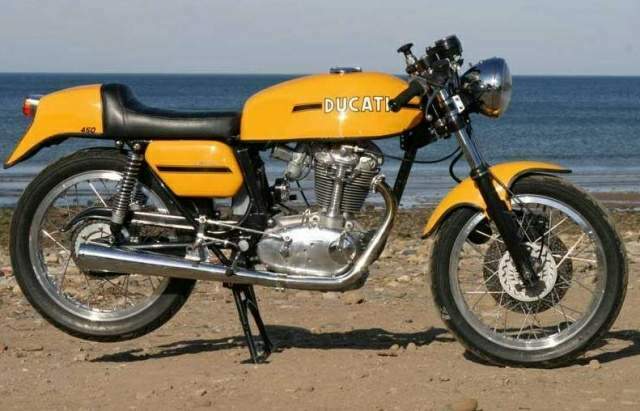 A new range of Desmo roadsters was introduced in 1971, and these new 250/350/450 Desmos soon acquired the sobriquet 'Silver Shotgun', a reference to their eye-catching silver metallic paintwork. 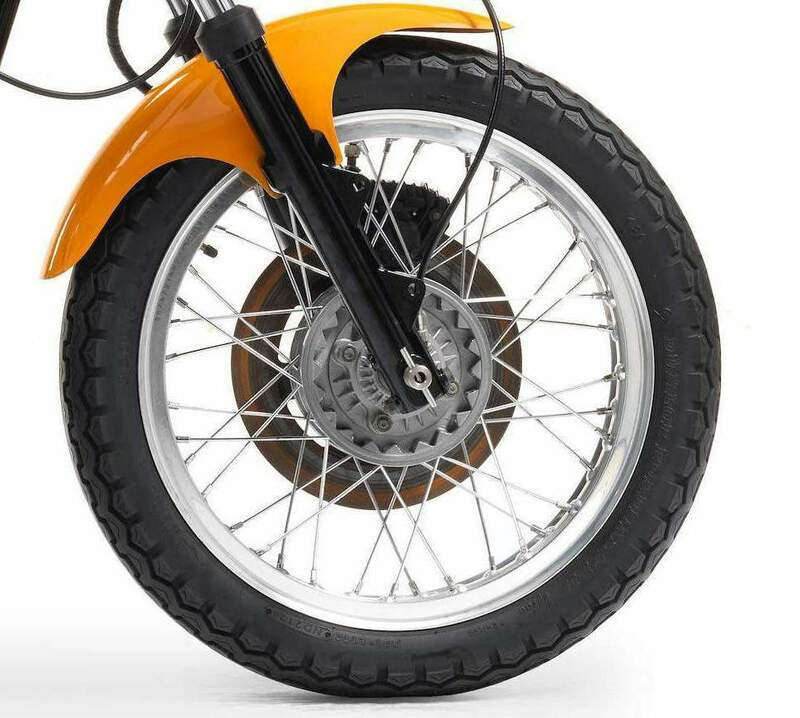 Standard equipment included Marzocchi 35mm front forks, Borrani 18" alloy wheel rims, a Grimeca 180mm 4LS front brake, rear-set footrests, clip-on handlebars, and a white-faced Veglia rev counter, while the fuel tank, seat base, side panels, and front mudguard were made of a lightweight glassfibre. 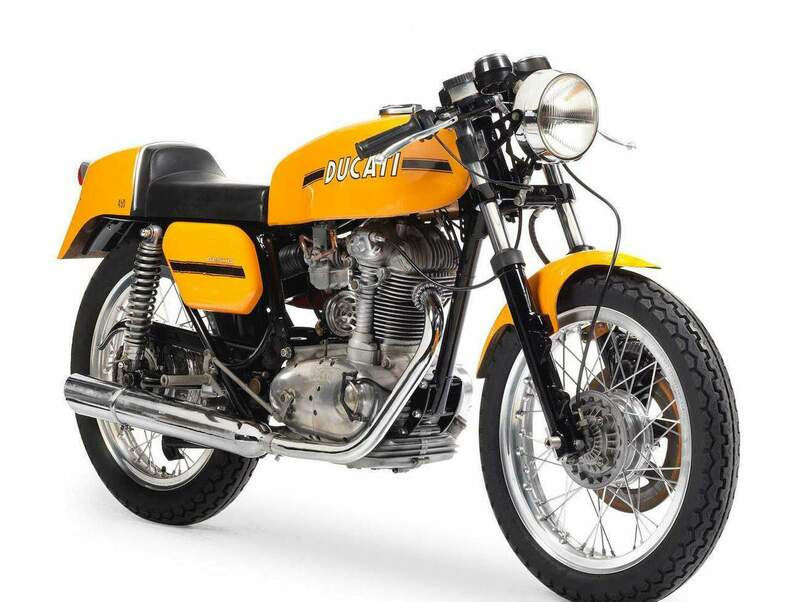 For 1973, the Desmo range was mildly restyled by Italjet's Leopoldo Tartarini, also responsible for the Ducati 750 Sport, the colour scheme switching to yellow/black at the same time. Production effectively ended in 1974, though a tiny handful was produced in 1978. 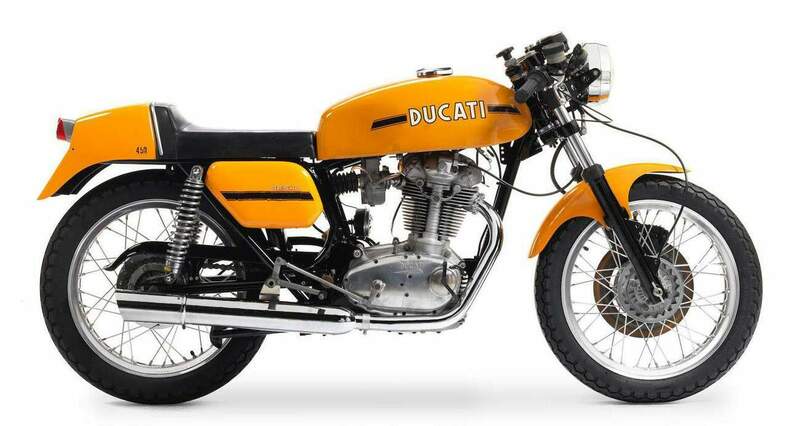 It is often the case that the best example of a bike is found at the very end of the model's life. 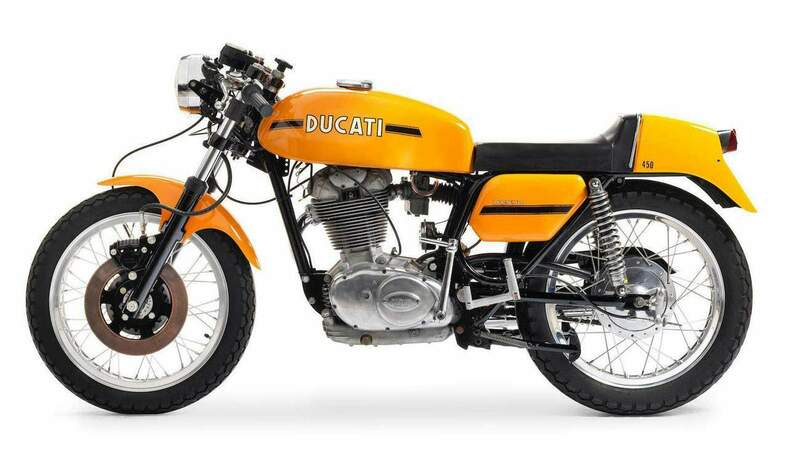 This is certainly true of the 450 Desmo Ducati of 1973 which can trace some elements of its bloodline all the way back to Ducati's 125cc GP racer which made its debut in 1956.